I am a 44 year old woman in relatively good health. I just recently had blood work done and the only test that came back out of range was vitamin D, 25 OH (22 ng/ml). Coincidentally I began to have strange symptoms. My right arm kept falling asleep. Soon my right foot. Now I have pain in my wrist, toes, biceps, behind my knees. Sometimes it seems as if it travels all around, other times it appears only in the arms. I have begun taking a vitamin d3 treatments of 10,000 iu daily. I hope to see some improvement soon. Can a vitamin D, 25 OH level of 22 cause my body tingling all over? Help! Well, vitamin d deficiency CAN cause tingling all over and pain as well. But since you just started taking your Vitamin D, give it a few weeks to see if that is the problem. It's VERY coincidental that all of this started as soon as you found out that you are vitamin d deficient because its likely that you've been vitamin d deficient for years and even decades. But it also makes me wonder, if you are vitamin d deficient- what ELSE are you deficient in. Just because doctors only TEST for certain things doesn't mean that we can't have other deficiencies that they just don't test for. And most of the time, people aren't just deficient in ONE SINGLE thing! That just doesn't make much sense. So, you may want to consider getting on a high quality multivitamin like Jigsaw Health's Essential Daily Packs as an added precaution. Maybe this vitamin d Deficiency and these little aches and pains are trying to tell you something. But if the vitamin d by itself doesn't help, then come on back and we'll brainstorm some more. Going on six months now I have been having pain in my shoulder, mid arm and elbow, complete with tingling, twinging, cramping, and other types of pain. Physical therapy made it worse. Acupuncture did not help; Osteopathy did not help, homeopathy did not help, various supplements have not helped much. Some one suggested I take D3 - 20,000 to 30,000 units a day. I had my level tested and it came out to 34.6. Low end of 30-100 normal. I am a little nervous about this. MD said that was too much and would not authorize it, so I am doing this on my own for three doses now. Tonight, I have that "restless leg syndrom", mostly in my hips. I can't sit still. It's very uncomforable. Is this coming from the D3? Is D3 the right thing for my shoulder? Do you think it could help? This pain is taking all the joy out of life. I have been told it could be anything from "local fibromyalga" to just about anything else. to see why your doctor does not know what he is talking about and why you should never take vitamin d without magnesium and how and why that could very well be causing your 'restless legs'. You cannot take large doses of single nutrients. Nutrients are not drugs, they all work together and influence one another. If you are deficient in one, then you almost certainly have more. When you take large doses of one, you will influence others, needing more or less of different nutrients. You should ALWAYS ALWAYS 'cover your bases' by taking a HIGH QUALITY vitamin and mineral supplement when you take high doses of single nutrients to avoid any problems of deficiencies or activation of other nutrients. Hi - for over 4 weeks I have been having mild chest pains / palpitations, lightheadedness, mild headaches and leg tingling. It got so bad 2 weeks ago when driving home from the golf course that I thought I was having a heart attack so I drove to the ER. They did an EKG and EcoGram and kept me overnight for observation. The EKG and EcoGram were normal and my blood work came back normal as well with the exception of an elevated CKP (820). I'm a 52 year old male and I'm very active, I work out 3 times a week doing cardio and weight lifting. Can a vitamin D deficiency cause any of the symptoms I listed. I have a follow up with my doctor on 14 Aug. I am having the exact same symptoms, so I went to my primary Doctor and was told my vitamin D level was low and that I needed a supplement. I am very scared of this pain I am having and wonder if it really is vitamin D def. causing it or something more. Is the supplement helping you??? I have great fears about recent tinnitus, a bit of crap and tingling. My D rating LAST January was 25 but I did not think about it until now with these recent odd things happening. I don't know what it is now, today, but will find out soon. Adding to fears, it that I had what I believe to two bouts of Restless Leg in '11 (3 wks) and '12 (about same), hitting only at night and felt like benign electricity from calf down. I haven't had it since for whatever reason, if that is what it was but it sure seemed to be that, from what I read extensively. Tingling now less intense and can come on earlier and not as bad on sleep if at all. Had mystery tendon/joint soreness show up in elbow with no reason at all two days ago. still there but much less. I have not been taking care of myself last decade and am 53, 40 pounds overweight, w/m under some stress as sole caregiver for wheelchair-bound mom in and out of nursing home. I had been pretty outgoing and have good muscle mass from somewhat younger days (did crossfit as recently as 4/12!). Worried that my life perhaps getting ready to change drastically and terribly. I too was having issues with my left arm falling asleep and tingling sensation throughout my arm. I was extremely exhausted and could not get out of bed in the morning. 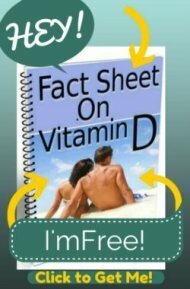 Lab work showed Vit D deficiency and high cholesterol. 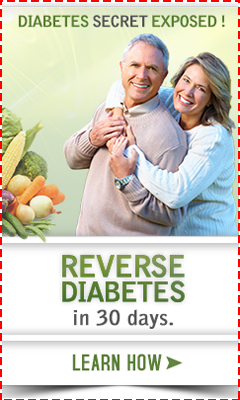 I started taking Vitamin D and B12 along with EHT supplement and it has made a huge difference. I am full of energy again and although the tingling comes every so often it is not daily. Paulina can you tell me how long it took for the Vitamin d supplements to work? I am still having pins and needles all over my body including my tounge. Have been on the 50000IU capsules since February. Looking for some light at the end of the tunnel! I recently had not gone outside due to back pain. I haven't gone out and my vitamin d was 13. I noticed that I have parasthesia of my feet and fingers and I am worried. My dr started me on 50,000 vitamin d prescription pill once a week. Can vit d deficiency cause parasthesia or could it be auto immune ? Yes, Vitamin D deficiency can cause parathesias. Please see my page on Causes of Peripheral Neuropathy. Also, see my page on Vitamin D Therapy to see why taking that prescription is likely to not help and could even make things worse. When you take Vitamin D, you must take the proper form of Vitamin D and the proper cofactors in order to prevent Vitamin D Side Effects. I highly recommend getting something like the Vitamin D Absorption Pack that contains both Vitamin D3 and it's cofactors in adequate amounts so that you minimize your chances of experiencing side effects and maximizing your chances of reducing your symptoms. Do you think it is low vitamin d? I am a 49 year old female. 8 years ago they found out that I had thyroid cancer after multiple complaints of pain in my bones just below my thyroid and a burning tongue. The thyroid cancer was an accidental discovery! Fast forward...still to this day I have bone pain, tingling in my body, severe headaches with fog, and dizzyness. 2 years ago I complained of losing my hair. That is when they discovered my vitamin d was at 19. I was told just to take over the counter. My endocrinologist has changed my medicine 3 times. We are waiting for 6 weeks to check my bloodwork. Before this change a doctor prescribed the 50 thousand. It made me very anxious for 3 days after taking it so I stopped until I saw the endocrinologist. So, my question...do you think vitamin d level at 19 can cause severe headaches with fog? I am having problems with my memory too? I feel that my vitamin d has been low for a long time. My ears started to ring recently too.